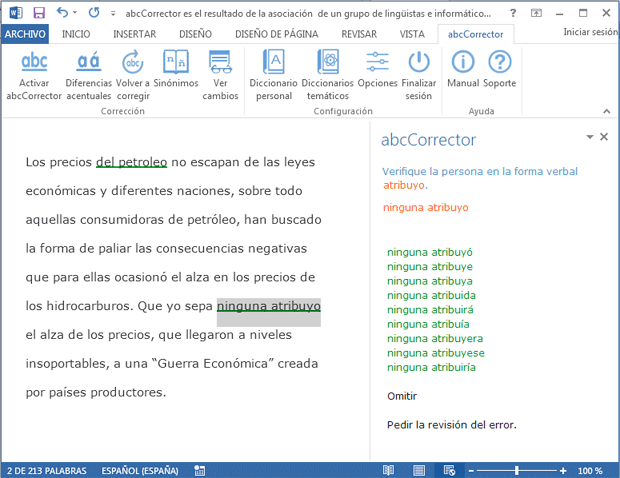 The best Spanish grammar checker available anywhere, and fully integrated into Microsoft Word (Windows). It works seamlessly as a native extension within Office and takes advantage of Microsoft’s latest functions. With direct access to all the features of abcCorrector in its own dedicated tab, it offers a range of tools to make composing and reviewing your document as simple as possible. Join thousands of users who already enjoy abcCorrector.